Just half an hour from Perth City, Fremantle is one of the most prominent Australian port cities in Western Australia which is best known for its eclectic blend of traditional and modern developments. The town is renowned for its bustling streets, fascinating arty, multi-culture cuisines, awe-inspiring nightlife, new-age fashion stores, and a lot more. All the leading attractions including theme parks, picnic spots, beachside cafes, etc. are located within the close vicinity of public transports. Fremantle is also home to some of the preserved heritage buildings, well-renowned hotels, magnificent WA Maritime Museum, Fremantle Prison Tunnel and Arts Centre. There is also a popular shopping strip which has been stretched with stunning fashion stores, restaurants, small bars, pubs, food stalls, and a lot more. With the increasing number of commercial setups, Fremantle is slowly but steadily becoming an ideal place for leading and budding entrepreneurs. Many manufacturing units have also set their shop in this particular city while many are buying existing businesses for sale in Perth to try their luck. The city has a lot to offer regarding commercial activities, and thus potential individuals are heading towards to kick-start their entrepreneurial journey. 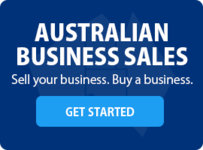 Currently, Business2sell has over 23 businesses for sale and franchise opportunities listed under Fremantle, Perth, Western Australia. 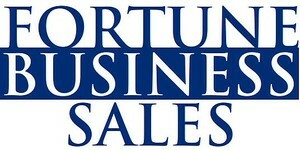 There are multiple businesses for sale in different categories including 6 Cafe And Coffee Shop For Sale, 4 Restaurants For Sale, 2 Food Related Businesses For Sale, 2 Retail Business For Sale, 2 Catering businesses for sale, 1 Beauty businesses for sale, 1 Freehold businesses for sale, 1 Distribution businesses for sale, 1 Industrial Services businesses for sale, 1 Hardware businesses for sale and many more. The most commercially feasible suburbs in and around Perth Region are Fremantle have 42 listings for sale, East Perth with 35 Business listings, South Perth have 23 Business opportunities, Joondalup have 15 opportunities, Osborne Park with 14 listings for sale, Rockingham with 14 opportunities, Subiaco have 13 Business opportunities, Victoria Park have 11 Business opportunities, Wanneroo have 10 listings for sale and many more. Your Chance To Own A Freo Cafe Icon! Secure car parking available.this well located space would suit an accountant, architect, many other professionals or photographer, art gallery or retail.contact sam fazio on 0412 440 139. Funky Fremantle Cafe - Sold! Another Wanted.